The Zika virus shows just how dangerous it is to let religious authority determine public policy. On May 16, the Supreme Court issued a terse per curiam opinion deferring resolution in the case of Zubik v. Burwell. 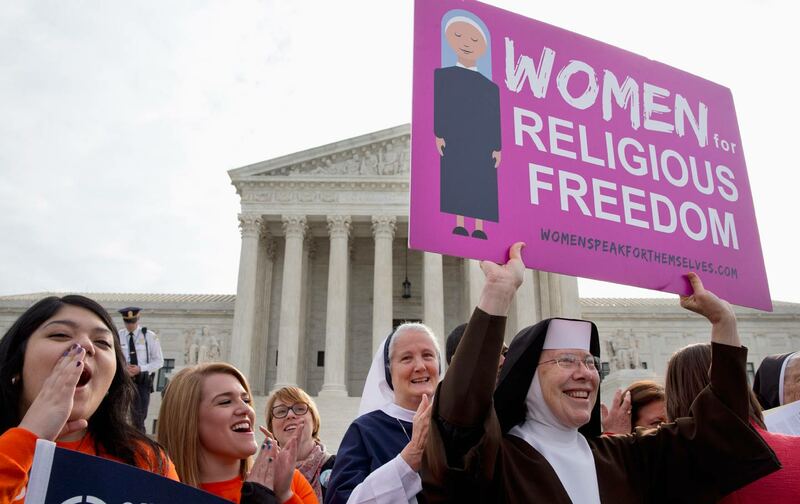 The petitioners were nonprofit employers who argued that federal rules requiring employee health benefits for birth control were contrary to their religious beliefs. They maintained that even merely requiring employers to opt out by formally asserting a conscientious objection substantially burdened the free exercise of their beliefs. For now, the justices chose not to decide that issue, instead remanding it back to the Court of Appeals level, requesting further briefing as to “whether contraceptive coverage could be provided to petitioners’ employees, through petitioners’ insurance companies, without any such notice from petitioners.” This deflection has postponed a contentious showdown pitting reproductive rights against religious rights—a contest that has become all too familiarly fraught in recent years. What makes Zubik particularly important is the precariousness of the constitutional principles at stake. In an earlier challenge to the Affordable Care Act, Burwell v. Hobby Lobby, the Court held that a family-owned corporation could refuse to pay for insurance under the ACA, based on the owner’s belief that contraception is a sin. Hobby Lobby, in other words, invited the current impasse about the degree to which businesses and other organizations may pick and choose—that is, discriminate—among the laws they will respect. Public health’s mission is unrealizable if we only understand disease as the personal responsibility of those afflicted. In any event, Zubik’s petitioners represent but one strand of a peculiarly American brand of antigovernmentalism, some strands of which can be traced back to Reconstruction-era theologies of states’ rights. Other sources include antitax revolts, the racialization of welfare benefits, and the rise of Ayn Rand–style libertarianism. Over time, these forces have led to reductions in Medicare, the disappearance of all manner of maternal and child healthcare, attacks on Head Start, the virtual nonexistence of mental-health infrastructure, the reluctance to fund studies of gun violence as a health issue, and the erosion of air and water-quality controls. In an era when climate change, industrial toxins, and global migration combine to increase exponentially the odds of mass contagion, pollution, and bioterrorism, the purposeful impoverishment of collective response has put us all at grave risk. While Zika’s greatest risk is to fetuses, the virus is correlated with other potentially devastating conditions such as Guillain-Barré syndrome. Moreover, what may seem to Americans like its sudden prevalence is related to the slow encroachments of global warming—and we who are not to the tropics born should know that the same mosquitoes which carry Zika also carry dengue hemorrhagic fever. This alone poses the threat of skyrocketing emergency-room costs, well before we get to the question of long-term care for the permanently disabled. Public health’s main mission is prevention; that mission is unrealizable if we understand disease only as the personal responsibility of those individually afflicted. This is not a narrow question of risk-benefit analysis. If, as a legal matter, we assign the burden of control to the nonscience of individual or religious choice, we create a vacuum in which the politics of fear may overtake us in the event of an actual (or just a threatened) pandemic. When the Ebola crisis was at its peak, there were hyperbolic calls for walled borders and the quarantine of those who posed no medical risk. At the height of the HIV epidemic, moral panic far outstripped the actual risks of transmission, stigmatizing gay men as untouchables. The lead-poisoned water supply in Flint, Michigan, wasn’t merely the result of bureaucratic inattention, but also of a widespread and long-term affective aversion to the ethnically and racially marked humanity of its residents. Everywhere and always, disaster narratives of invasion by contagious bodies inflect immigration policy, educational access, employment opportunity, rights to movement, and public accommodation. Such narratives draw lines; they reinforce circles of identity; they monsterize and idealize; they underwrite superstition as well as forge truths. We know that resource allocation crossed with sacralized belief can structure better or worse social responses not just to birth control, but also to outbreaks of syphilis, tuberculosis, cholera, malaria, poisonings from toxic spills, putative invasions of “Africanized bees,” and leprosy. The imagination of disaster only goes so far in the preparations for an actual disaster. But the meta-knowledge of how ideologies of calamity, contamination, and cleanliness intersect with law, politics, and public health just might bridge the gap.